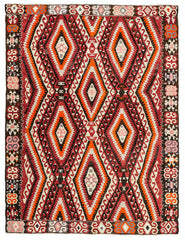 This Ethnic Floor Rug is very special and rarely found piece. 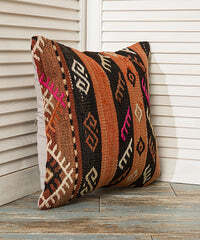 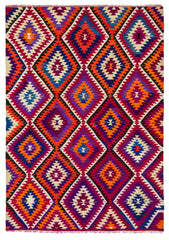 It was hand woven in 1970s and the colors seem like very new. 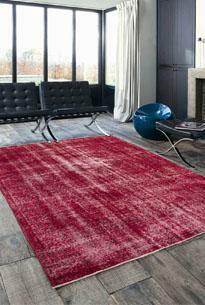 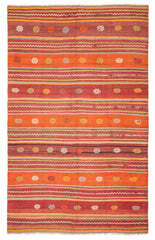 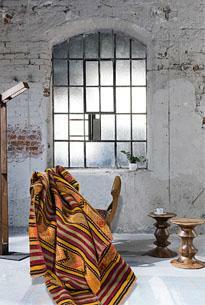 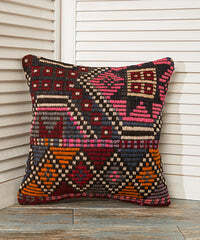 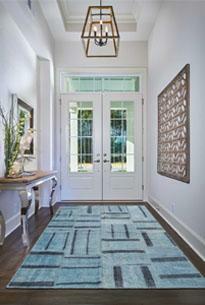 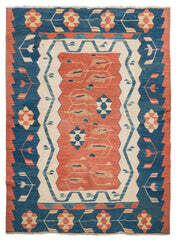 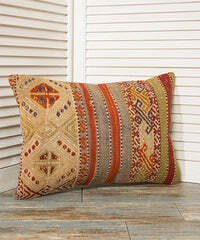 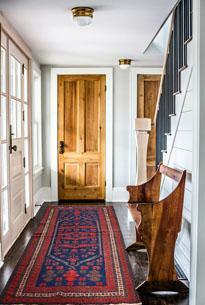 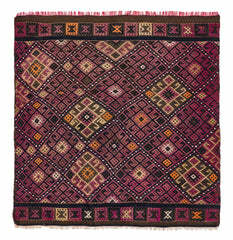 Colors keep the brightness as the first day, because this Ethnic Floor Rug is hand woven with vegetable dyed threads. 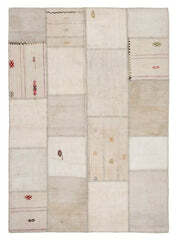 This jijim rug is quite thin woven and very good quality.